Chemical processes are influenced by a variety of circumstantial factors suchas temperature, pressure, reactants, catalyst stirring and others that have to be controlled and optimized all at one time. Dynamic modelling and computer simulations allow the understanding and control of these complex dynamic systems, thereby providing modern solutions to chemical engineering processes. 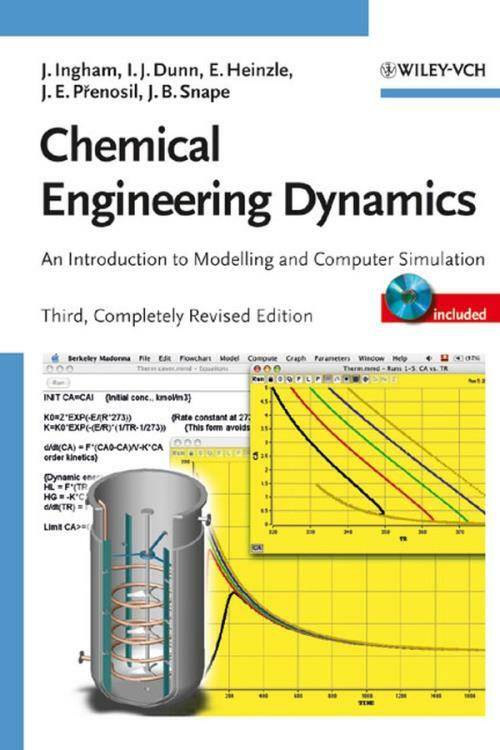 The on–hand book teaches the reader the modelling of dynamic chemical engineering processes by the combination of simplified fundamental theory and direct hands–on computer simulation. Software on [external URL] provides several examples of process equipment models, e.g. reactors and extraction columns, written in Berkley Madonna, a powerful and widespread simulation software. "An excellent introductory ′refresher–course′ on the basic concepts. This is followed by 78 programs which illustrate the points made and encourage the reader to ′tweak′ and play ′what–if′ games. Whilst reading this book I found a surprising amount of relaxation and pleasure in just running the programs through on a notebook computer. There are very few textbooks in my experience where it takes a great effort of will to put the book down! This is one of them."